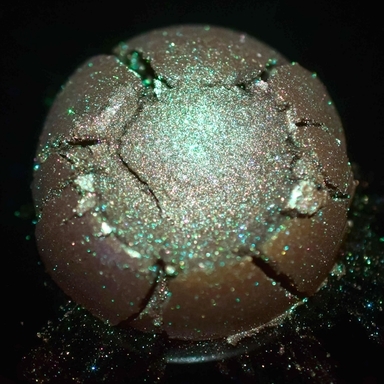 “Heckin heck no pal!” Heck is a rich, luscious chocolate brown based shadow with a strong minty green sheen that can flash an icy silver under bright light. It also has a lovely smattering of soft aqua and green sparkle. 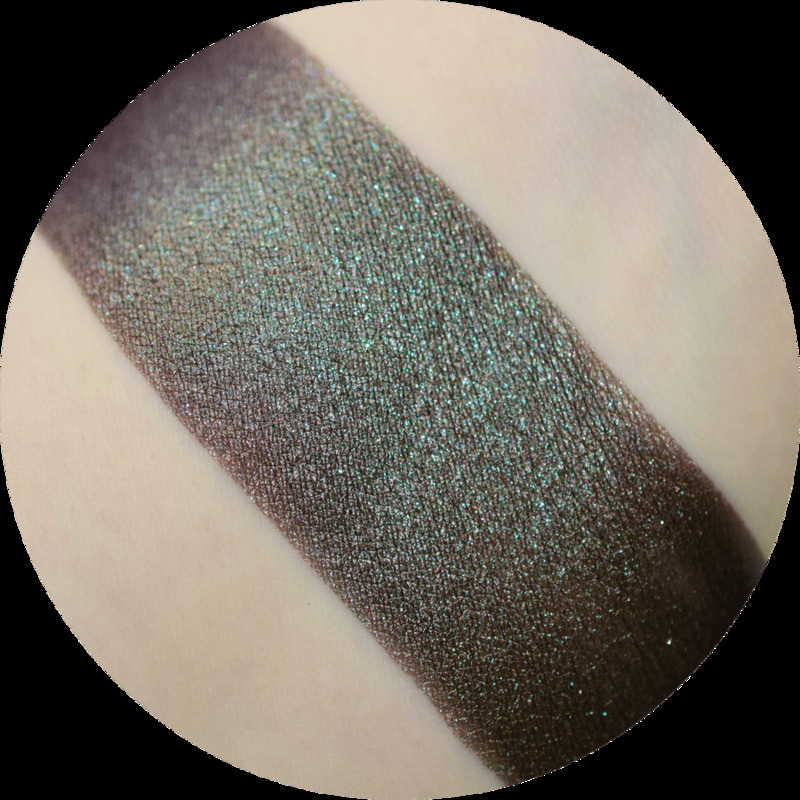 Heck is a great deep toned shadow for cut crease or used mixed with mixing medium for a unique neutral eyeliner. Heck is also lip safe and would look quite stunning patted lightly over a rich brown lipstick. It is shown swatched over our Power Up Primer, and photographed with diffused, cool-toned flash lighting. Heck as listed is in a 5gr jar with sifter and screw-on lid.